This month Belgium Air Force nr 1 Escadrille at Florennes, flying the F-16A, exchanged with the Italian Air Force 23 Gruppo based at Cervia AB, flying the F-104S/ASA. 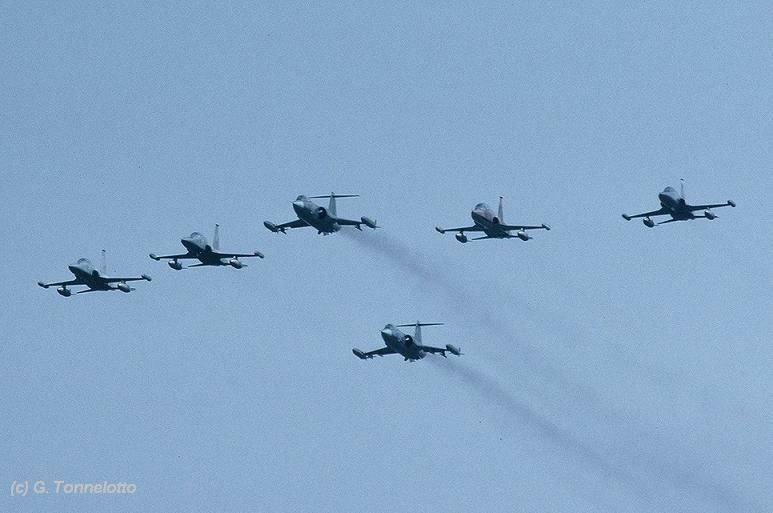 It is unknown if it was a 1 or 2 way squadron exchange but at least five Italian Starfighters flew to Belgium being MM6770/5-30, MM6795/5-40, MM6812/5-33, MM6881/5-42 and MM6920/5-35. On the 18th aircraft 5-30 and 5-42 arrived, the next day aircraft 5-33 and 5-35 joined the group. Finally aircraft 5-40 arrived at the 25th of June. All aircraft flew back to Italy on the 27th except 5-40 which departed the 28th. This month the Spanish Air Force ALA 14 flying the Mirage F1CE/EE and based at Albacete, exchanged with the Italian Air Force 18 Gruppo based at Trapani-Birgi AB, flying the F-104S/ASA. It was a 2 way shifted squadron exchange. First 18 Gruppo Starfighters flew to Albacete, then later the ALA 14 Mirages operated from Trapani. This month the Hellenic Air Force 343 Mira, flying the F-5A, based at Thessaloniki, exchanged with the Italian Air Force 22 Gruppo based at Istrana AB, flying the F-104S/ASA. It was a 2 way squadron exchange. However the four Italian Starfighters, being MM6817/51-02, MM6764/51-03, MM6721/51-06 and MM6804/51-07, flew from Araxos AB!! This was because the F-5 base did not have a runway barrier-cable system available which is needed for F-104 emergency situations. Photo beneath show the F-5s and F-104s in formation, likely taken during the arrival of the F-5 at Istrana Air Base. 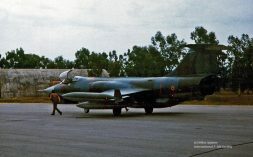 Also a photo taken at Araxos by Nikos Spanos showing one of the participating F-104s. We still are wondering which of the Araxos based squadrons hosted the stay of the Italians, 335 or 336 Mira. 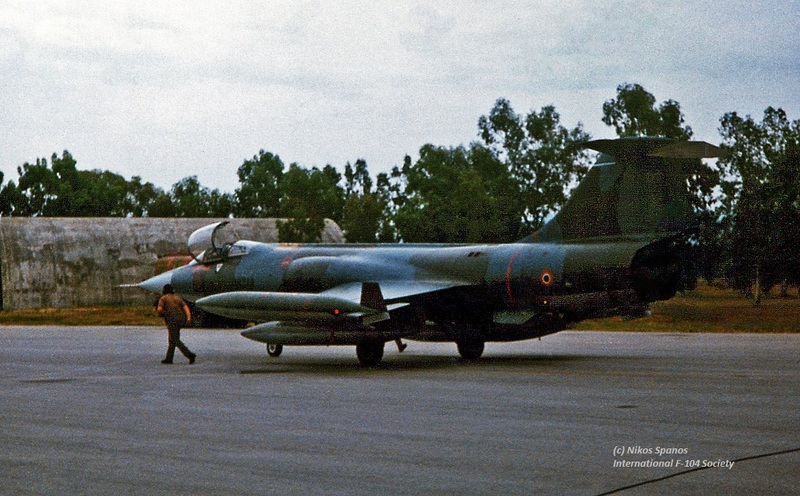 This period French Navy squadron 12F at Landivisiau, flying the F-8E(FN) Crusader, exchanged with the Italian Air Force 10 Gruppo based at Grazzanise AB, flying the F-104S/ASA. It was a 2 way shifted squadron exchange where 4 Starfighters participated being MM6749/9-41 , MM6873/9-31, MM6934/9-51 and MM6937/9-42. On the 28th till 29th two aircraft MM6808/9-30 and MM6720/9-40 both visited the delegation at France. The French Crusaders were seen at Grazzanise already in May 1996.